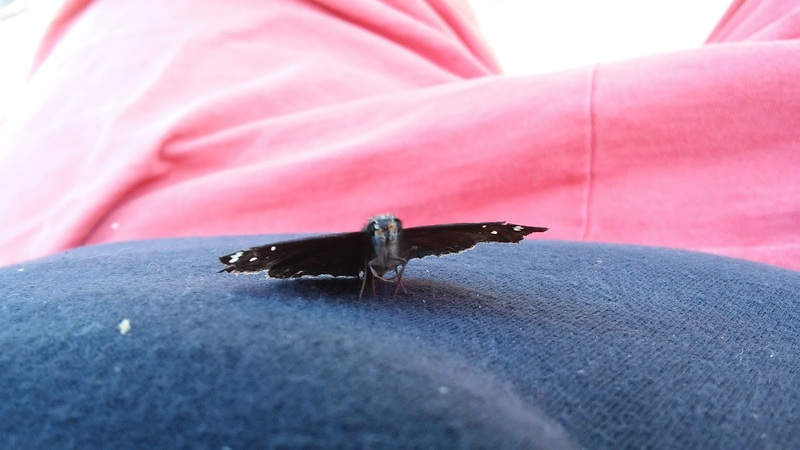 Jared Unzipped: A Visit From Horace's Duskywing. Whilst sitting on my back patio just a short moment ago, this affable little moth landed on my stomach. It didn't seem frightened of me, so I let it sit there. Much to my surprise, the moth continued to remain there for what seemed like an eternity. Somehow, I'd found a new buddy today. As the wind would randomly pick up and bluster against the tiny winged wonder, it would desperately grasp for my shirt and hang on tight. 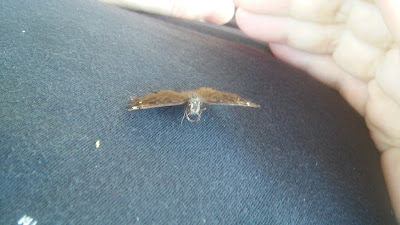 Using my hands, I cupped around the moth to provide shelter from the wind so it could rest. For a moment, it was safe and seemed thankful. After doing some research, I discovered that is wasn't a moth at all! This was in fact a Horace's Duskywing (Erynnis horatius), a skipper-type butterfly from the family Hesperiidae. Its habitat ranges from the New England region south along the east coast. It also has spread as far west as Texas and New Mexico. By no means is the Horace's Duskywing endangered; their population is quite healthy and vivacious. 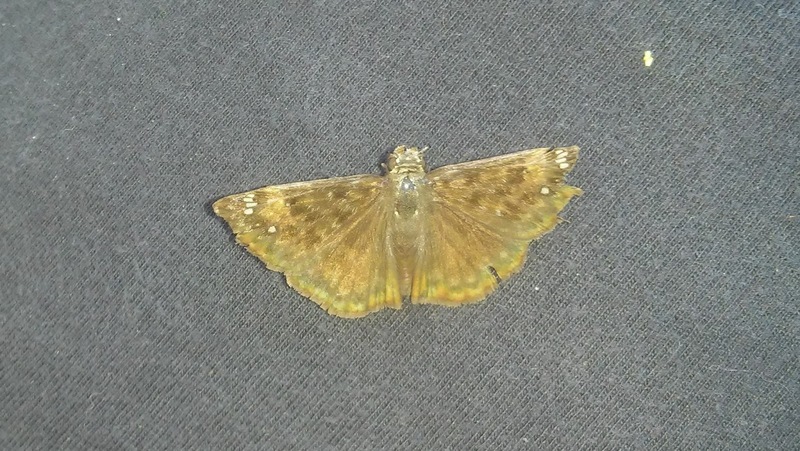 Based upon the color pattern on its wings, I was able to determine that this specimen was a male. Most likely, this fellow was born in early spring. Yet, the sad part of this encounter soon set in... with tattered wings and it being the month of June, this Duskywing was probably tired and about to pass away. I was deeply saddened. 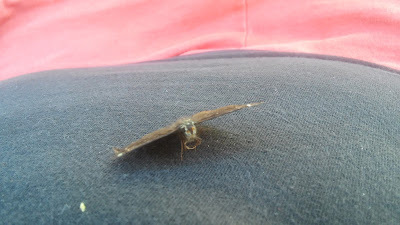 As I watched the insect rest there on my stomach and hold still, I wondered as to what the butterfly must think of me. Surely, it could see what I looked like. Was it not afraid of my immense size? Why would it think I was safe to land upon? Much less, to let me cup my large hands around its small stature? That's a measure of trust I wouldn't expect from nature. I was sad to see it eventually go, but I hope it lives just a little while longer to enjoy the last few days of the passing Spring.